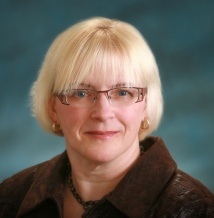 Dr. Martin-Misener’s health services research uses mixed methods to evaluate implementation and outcomes of innovative interdisciplinary team-based models of care in primary health care and long-term care with a particular focus on nurse practitioner and other advanced and specialized nursing roles. She teaches and supervises students in the Master’s and PhD programs. Martin-Misener, R. & Bryant-Lukosius, D. (in-press). Editors’ Reflections on Progress in the Development of Advanced Practice Nursing in Canada. Canadian Journal of Nursing Leadership, 29(3), 6-13. Harbman, P., Bryant-Lukosius, D., Martin-Misener, R., Carter, N., Donald, F., Gibbins, S., Kilpatrick, K., McKinley, J., Rawson, K.,Sherifali, D., Tramner. J., Valaitis, R. (2016). Partners in Research: Building Academic-Practice Partnerships to Educate and Mentor Advanced Practice Nurses. Journal of Evaluation in Clinical Practice. DOI: 10.1111/jep.12630. Martin-Misener, R., Kilpatrick, K., Donald, F., Bryant-Lukosius, D., Rayner, J., Valaitis, R., Carter, N., Miller, PA, Landry, V., Harbman, P., Charbonneau-Smith, R., McKinlay, J., Ziegler, E., Boesveld, S., & Lamb, A. (2016). Nurse Practitioner Caseload in Primary Health Care: Scoping Review. International Journal of Nursing Studies, 62, 170-182. Lacny, S., Zarrabi, M., Martin-Misener, R., Donald, F., Sketris, I., Murphy, A., DiCenso, A., Marshall, D.A. Cost-Effectiveness of a Nurse Practitioner-Family Physician Model of Care in a Nursing Home. Journal of Advanced Nursing, 72(9), 2138-52.